DWBRcast 18 - A experiencia sensacional da Comic Con Experience! The post DWBRcast 18 – A experiencia sensacional da Comic Con Experience! appeared first on Doctor Who Brasil. The post DWBRcast 17 – #PartiuGallifrey – Nosso Tour pelo planeta natal dos Senhores do Tempo appeared first on Doctor Who Brasil. DWBRcast 16 - Comemorando 51 anos de Doctor Who com Podcast Ao Vivo! The post DWBRcast 16 – Comemorando 51 anos de Doctor Who com Podcast Ao Vivo! appeared first on Doctor Who Brasil. The post DWBRcast 15 – Conhecemos Sylvester McCoy! Nosso review da Brasil Comic Con appeared first on Doctor Who Brasil. DWBRcast 14 - Zumbis, Robos e Guenta coracoes no nosso review de Death in Heaven! The post DWBRcast 14 – Zumbis, Robos e Guenta coracoes no nosso review de Death in Heaven! appeared first on Doctor Who Brasil. DWBRcast Extra - Mundos Colidem! 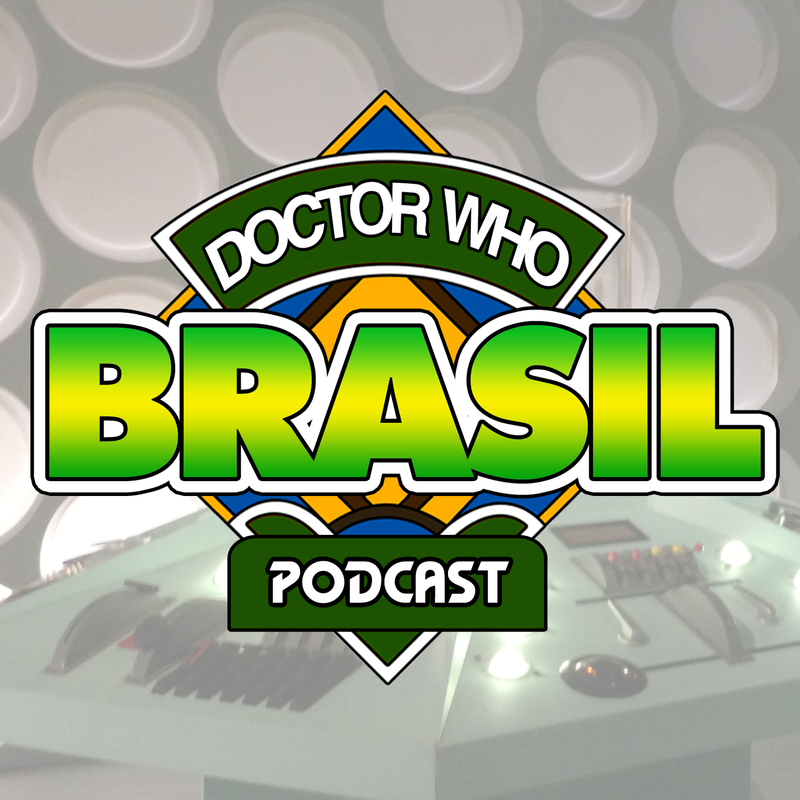 O primeiro podcast crossover entre Doctor Who Brasil e Who Cares! The post DWBRcast Extra – Mundos Colidem! O primeiro podcast crossover entre Doctor Who Brasil e Who Cares! appeared first on Doctor Who Brasil. DWBRcast 13 - Agua Negra, Cybermen e cerebros explodindo! Nosso review de "Dark Water"
The post DWBRcast 13 - Agua Negra, Cybermen e cerebros explodindo! Nosso review de “Dark Water” appeared first on Doctor Who Brasil. DWBRcast 12 - Salvando a natureza com o nosso review de "In the Forest of the Night"! The post DWBRcast 12 – Salvando a natureza com o nosso review de “In the Forest of the Night”! appeared first on Doctor Who Brasil. DWBRcast 11 - Flatline e o paradoxo do episodio legal mais chato da temporada! The post DWBRcast 11 – Flatline e o paradoxo do episodio legal mais chato da temporada! appeared first on Doctor Who Brasil. DWBRcast 10 - Piuis, abacaxis e mumias - Nosso review de Mummy on the Orient Express! The post DWBRcast 10 – Piuis, abacaxis e mumias – Nosso review de Mummy on the Orient Express! appeared first on Doctor Who Brasil. The post DWBRcast 09 – Fly me to the Killing Moon – Nosso review de Kill the Moon appeared first on Doctor Who Brasil. The post DWBRcast 08 – Va varrendo com nosso review de The Caretaker appeared first on Doctor Who Brasil. DWBRcast 07 - Tao facil quanto roubar um banco - Nosso review de Time Heist! The post DWBRcast 07 – Tao facil quanto roubar um banco – Nosso review de Time Heist! appeared first on Doctor Who Brasil. DWBRcast 06 - Ouvindo o coracao no nosso review de Listen! The post DWBRcast 06 – Ouvindo o coracao no nosso review de Listen! appeared first on Doctor Who Brasil. DWBRcast 05 - Domo Arigato, Mr. Robot of Sherwood! The post DWBRcast 05 – Domo Arigato, Mr. Robot of Sherwood! appeared first on Doctor Who Brasil. DWBRcast 04 - Dalek bom e Dalek morto! Nosso review de Into the Dalek! The post DWBRcast 04 – Dalek bom e Dalek morto! Nosso review de Into the Dalek! appeared first on Doctor Who Brasil. DWBRcast 03 - Respirando fundo na nossa epopeia no Rio de Janeiro - Nosso review da Doctor Who World Tour e Deep Breath! The post DWBRcast 03 - Respirando fundo na nossa epopeia no Rio de Janeiro – Nosso review da Doctor Who World Tour e Deep Breath! appeared first on Doctor Who Brasil. The post DWBRcast 02 - Nosso review desnecessauro de The Time of the Doctor appeared first on Doctor Who Brasil. The post DWBRcast 01 – Quem somos e dicas marotas appeared first on Doctor Who Brasil.